Although the Ice Magic Festival is over for this year, the ice carvings are still on display – until they melt. A few weekends ago, I piled into a car with my Mom, my brother Brett, his wife Lauren, and their daughter Aveya. We left early and drove to Lake Louise for the Ice Magic Festival that takes place during Banff National Park’s SnowDays – a month-long winter celebration. 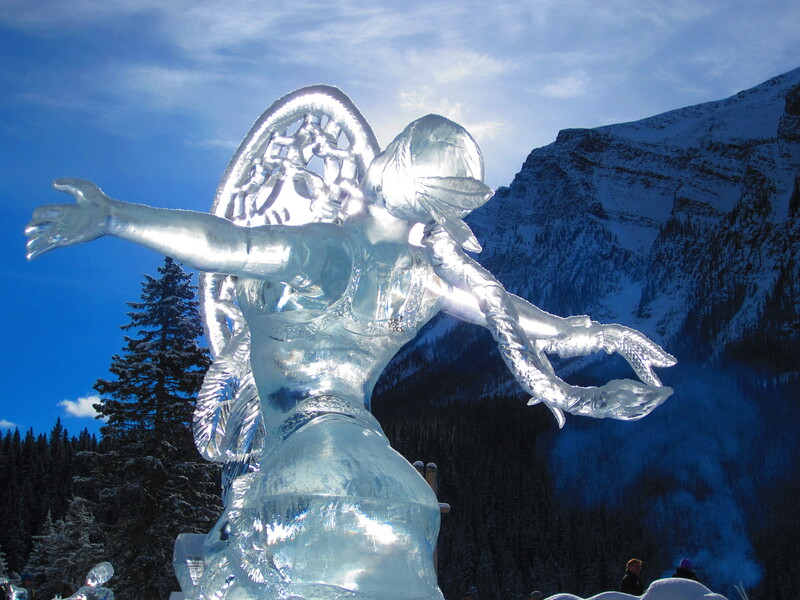 Now in its 19th year, the Banff National Park has added an additional weekend of ice sculpting magic for the “Little Chippers”, January 26th-27th. 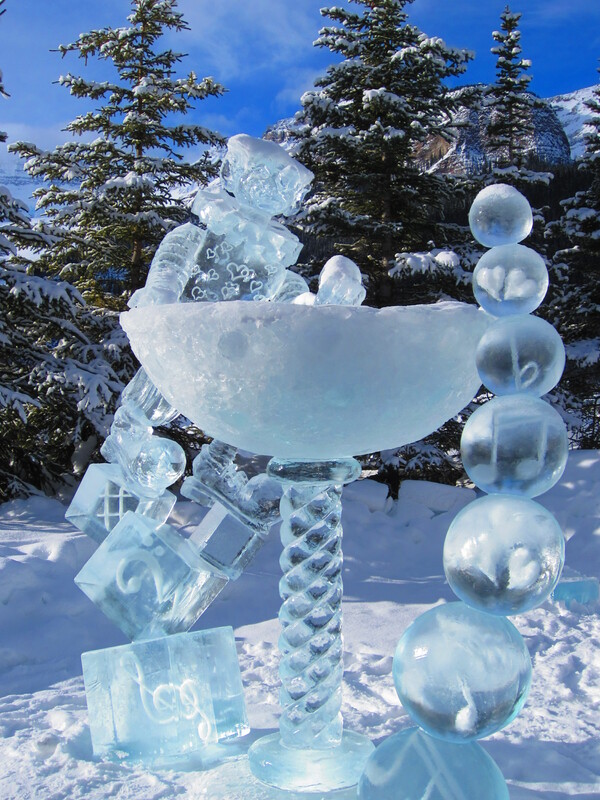 The first weekend, January 18th-20th, was the official International Ice Carving Competition Weekend. This year’s theme was “Carve a Song”. 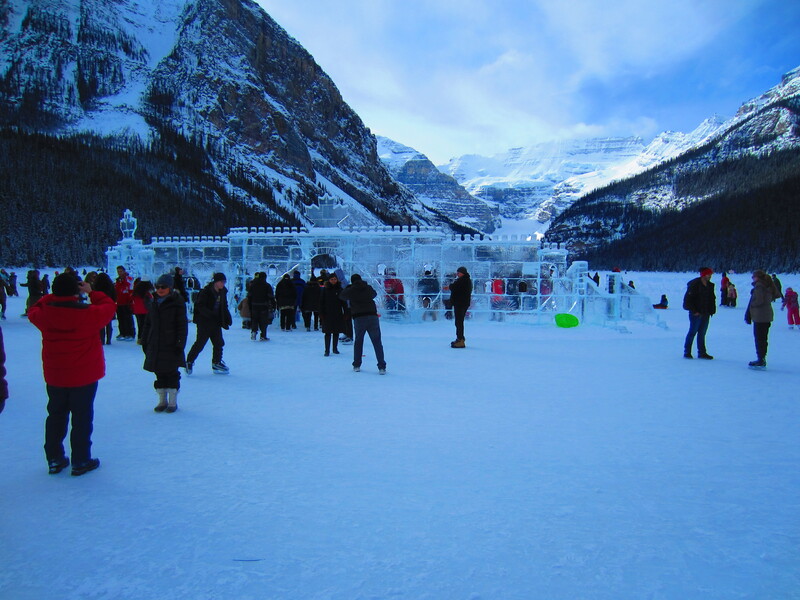 Hosted by The Fairmont Chateau Lake Louise, this 34-hour competition is the most anticipated spectacle of the Festival. 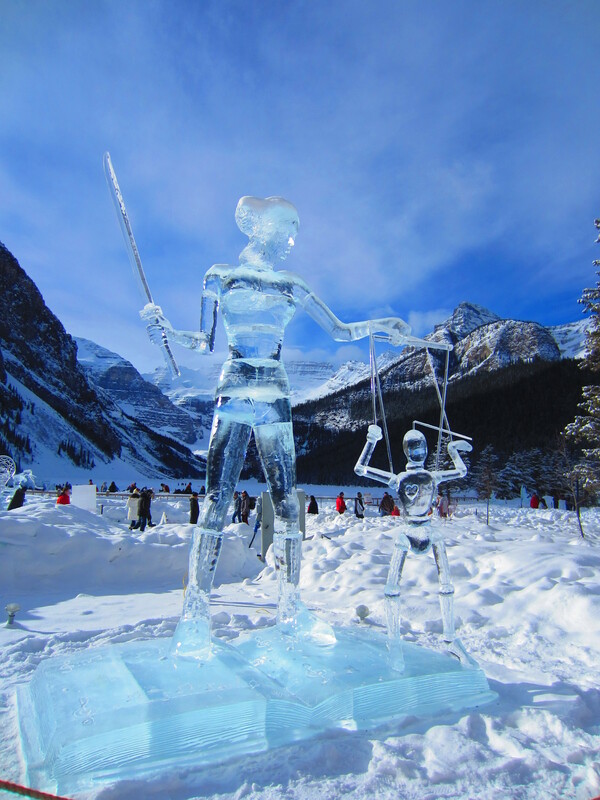 24 internationally recognized professional ice-carvers work in teams of two to sculpt towering, one-of-a-kind works of art from imposing blocks of solid ice on the shores of Lake Louise. With each ice block weighing a daunting 300lbs, this exceptional art form involves grueling physical labour in a delicate balancing act with precision artistry. We were lucky to see an ice sculptor in action. He wielded a tool that looked like a chainsaw with some special slender attachment. As he carved into the block of ice, tiny frozen splinters shot a few feet into the air, producing a miniature snowstorm. The cold was too much for me. I wished that I had worn a snowsuit, like Aveya, my 22 month old niece. That way, I could drop onto the ground and make snow angels beside her. After 15 minutes of strolling around the sculptures we ventured in for some hot food. Next year we plan to bring a sled to pull Aveya around in, and I will bring my snowsuit. 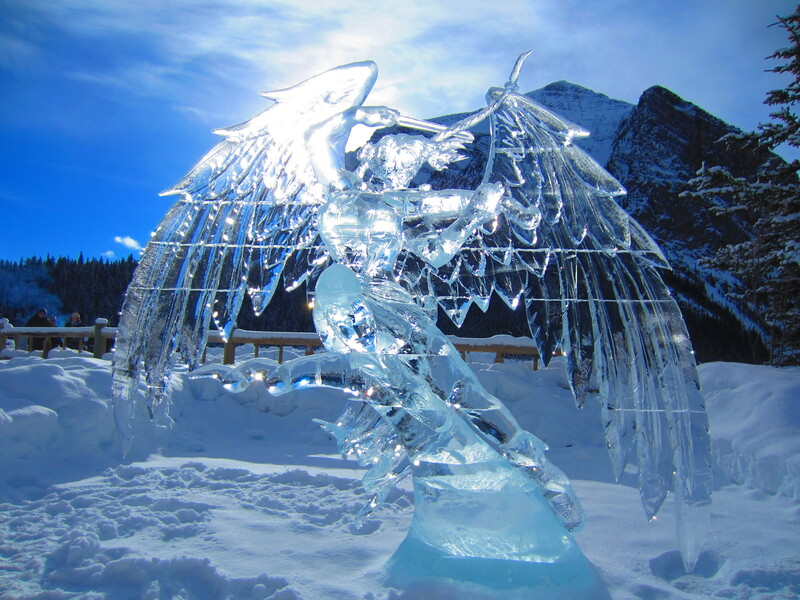 This entry was posted in Canada and tagged Alberta, Banff National Park, Canada, Fairmont Lake Louise, ice, ice carvings, Ice Magic Festival, ice sculptures, International Ice Carving Competition 2013, Lake Louise, mountains, outdoor winter activity, snow, snow days. Bookmark the permalink.